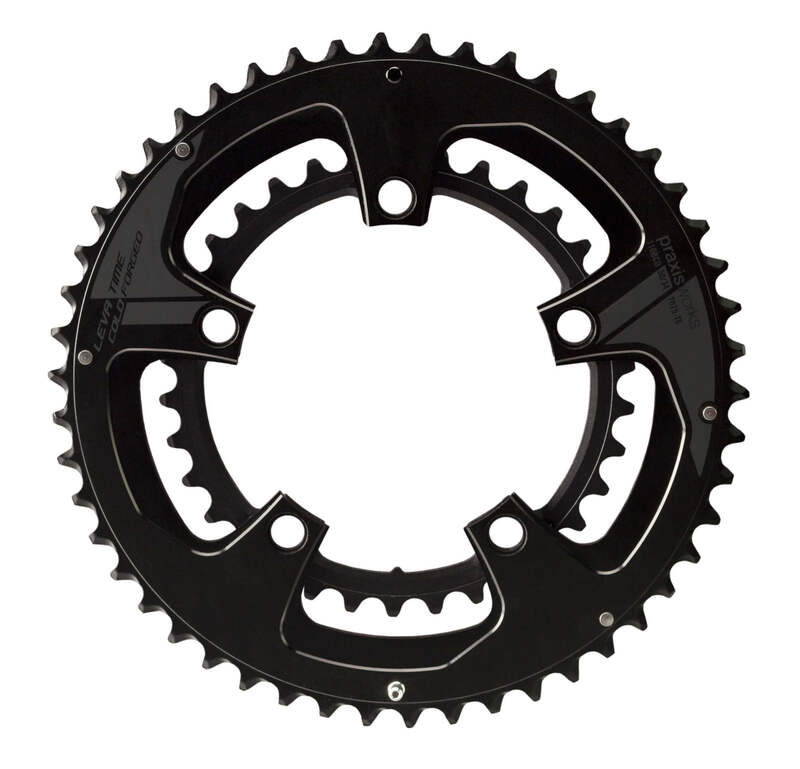 We recommend the Praxis Works Road Standard Chainring for use with the power2max road power meters. Praxis chainrings are cold forged from 7075 T6 aluminum and hard anodize for additional durability. They also feature Praxis’ LevaTime Shifting Technology, which uses synchronized ramps and strategically placed shift pins for perfectly timed shifts.